Chad Sell grew up in a small town in central Wisconsin. 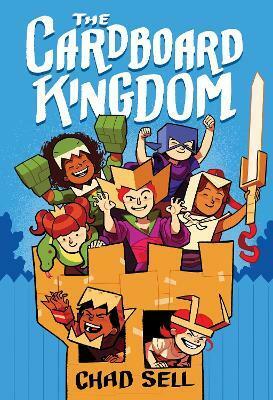 He lived in a neighborhood much like the Cardboard Kingdom where he and his friends bounded through backyards in imaginative games and outfits! He also drew a lot and came up with all kinds of colorful characters. His favorites were often the villains, because despite being different and misunderstood, they were powerful, confident, and got the best costumes. Chad lives in Chicago with his husband and two cats.Follow the creators of the kingdom on Twitter at @TheCardboardK.